The outdoor altar is a beautiful site for celebrating Holy Eucharist. 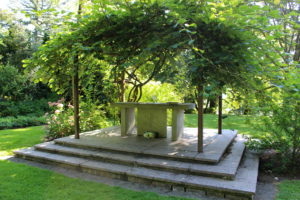 Set in the southern end of the yard, the altar is covered by a canopy of kiwi vine with broad green leaves. Every summer, staff of the Diocese of Oregon worship outdoors amidst the sound of the gurgling streams and chirping birds. One year an albino deer wandered onto the field during the Eucharist! As Rick Grimshaw, Vice-President of the Board of Trustees of the Diocese of Oregon, shared at last year’s diocesan Convention, diocesan leadership has for several years been contemplating the best stewardship plan for Elk Rock Gardens. This historic property was generously gifted to the diocese by Peter and Laurie Kerr more than 60 years ago and houses the diocesan office (The Bishop’s Close) and a privately-managed public garden. 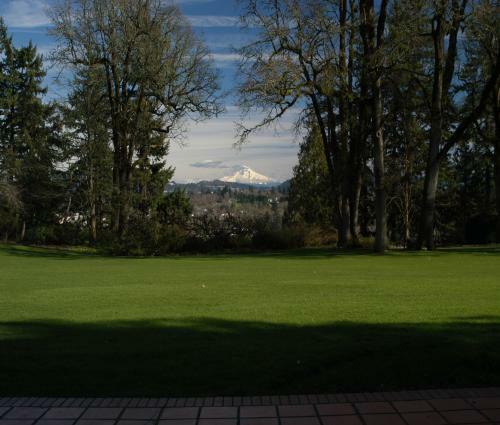 Today the Diocese of Oregon is very pleased to announce that it has signed a Letter of Intent to sell the Bishop’s Close and Elk Rock Gardens to Mr. Jordan Schnitzer. Mr. Schnitzer is a lifelong Portland resident with significant experience in civic, religious, non-profit, and community-based organizations and causes, including sixteen years on the Board of Trustees for the Portland Japanese Garden. Mr. Schnitzer intends to develop a long-term master plan to restore and revitalize Elk Rock Gardens in a way that honors the history and tradition of the garden as well as the legacy of the Kerr family’s intention in donating it to the diocese, maintaining it as a private/public green space with a deed restriction that prevents any subdivision of the property for redevelopment. 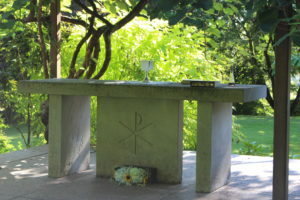 In addition to the important preservation of this beautiful and beloved garden, Mr. Schnitzer agreed to a favorable lease-back option for the diocese for up to five years, which allows us time to enter into a diocesan-wide conversation planning for the future location of the diocesan office. 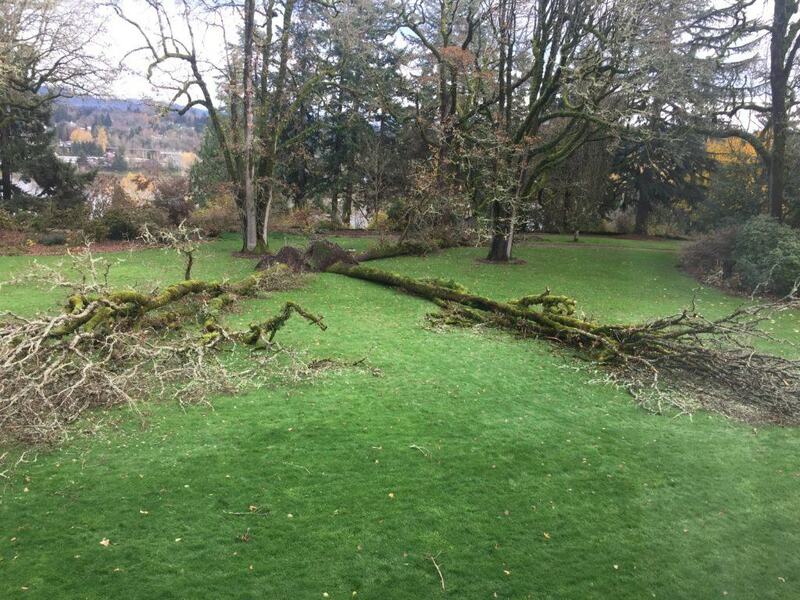 We give thanks for Mr. Schnitzer’s generous commitment to the future of Elk Rock Gardens and invite your prayers for the diocesan leadership and staff as we journey together into the next location from which we can best serve the Episcopal churches of western Oregon. Read more of Lori Osterberg’s review on AFAR. It may be fall, but there are still signs of new life popping up around the garden. 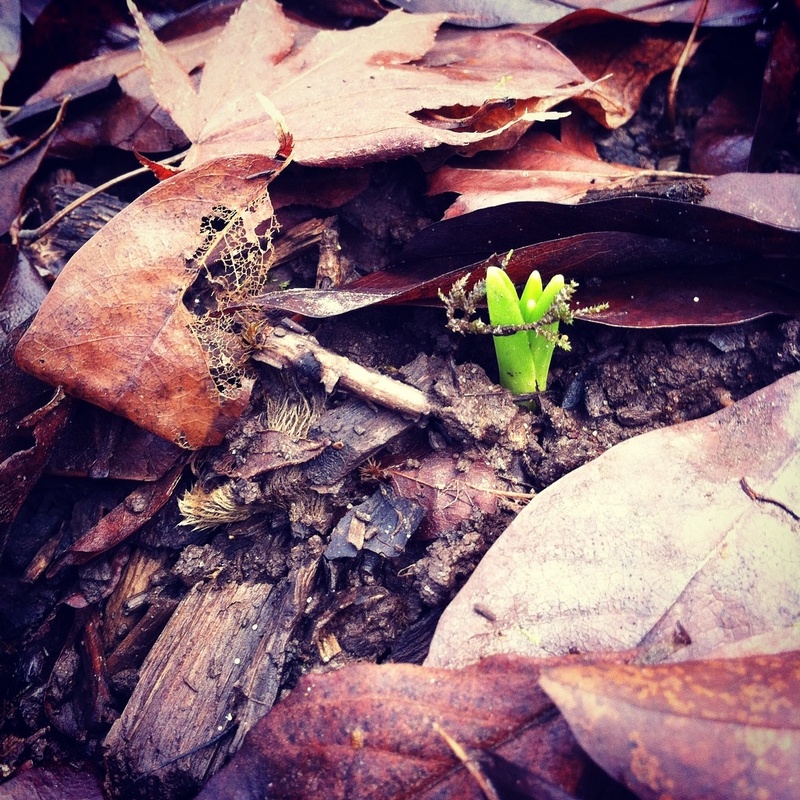 The fall crocus are beginning to force their way up through the damp soil, pushing aside the cover of autumn leaves. 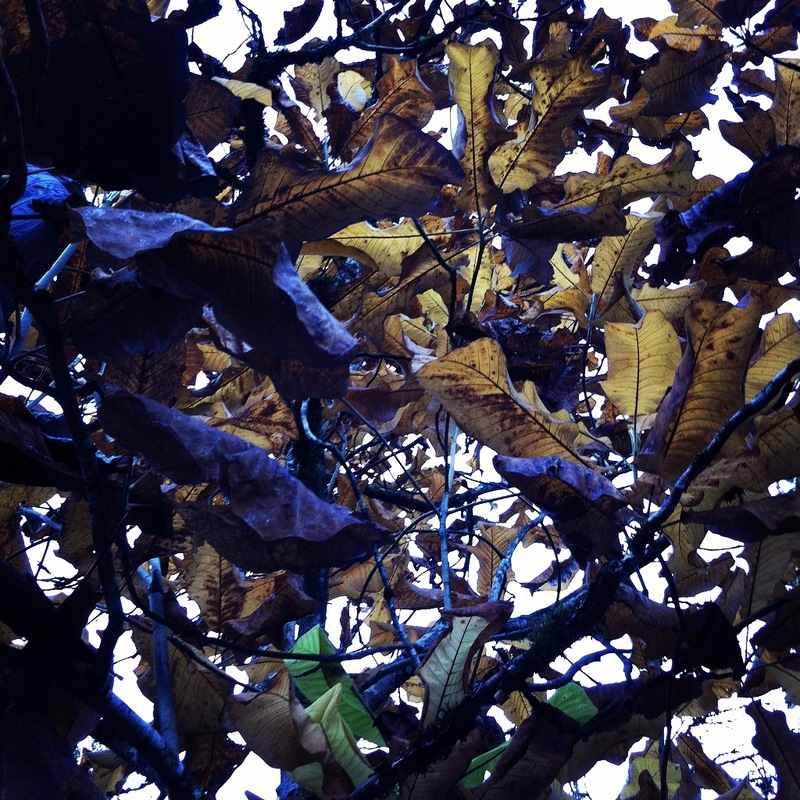 The bigleaf magnolia (Magnolia macrophylla) is beginning to shed its leaves, which can grow up to 30 inches long. This tree is located on the western side of the lower parking lot. 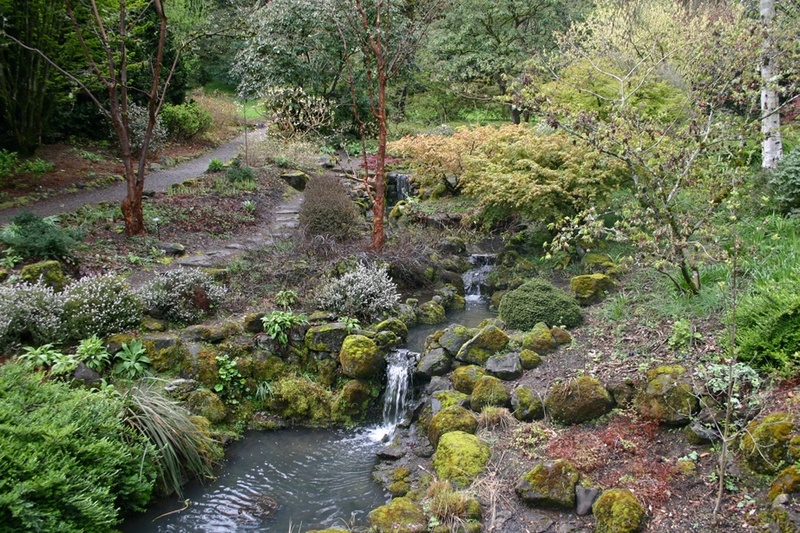 The Willamette Week featured Elk Rock Garden as one of Portland’s hidden gems. Read the full article in Willamette Week. Some two hundred years ago the trees you see in this photograph began to grow in what is now Elk Rock Garden on the grounds of the Bishop’s Close. During a recent storm the roots became waterlogged and all three of the major trunks came down. Today the company tasked with cutting them up and removing them from the grounds finished their work. Except for the tracks of heavy moving equipment, only the memory of these beautiful trees remains. The July issue of the digital magazine, Garden Time, featured an article about the garden. The Elk Rock Garden at Bishop’s Close is a treasure of a botanical garden tucked into a Dunthorpe neighborhood overlooking the Willamette River. 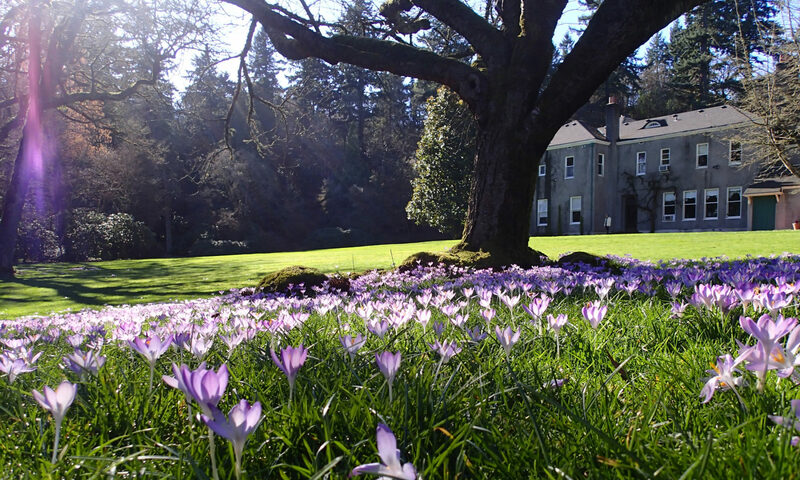 Originally the home of Peter Kerr, a native of Scotland, the state, along with an endowment for maintenance and upkeep was donated after his death by his daughters in 1957 to the Episcopal Bishop of Oregon on the condition that the garden be open to visitors. Because of this generous gift, we have the pleasure of visiting this gem of a garden year-round.